I would like to take a moment to share with readers this video from The Sagol Center for Hyperbaric Medicine and Research in Israel. Click here to watch HBOT video. As aforementioned on this very blog, the center has long been at the forefront of Hyperbaric Oxygen Therapy treatments, and this video expertly shows the profound and life changing effects that HBOT has had on patients suffering from traumatic brain injury and Fibromyalgia. Unfortunately, just like many of these Israeli patients, patients in the UK will find that treatment for such injuries using HBOT is plagued with NHS funding issues and a distinct lack of clinical referrals or support; despite extensive research from organisations such as The Sagol Center that undoubtably prove the benefits of HBOT in treating these conditions. 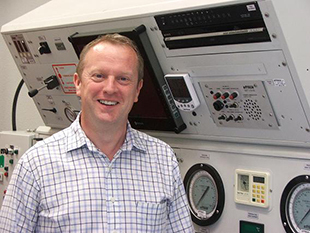 This means that many patients who could greatly benefit from HBOT in England, must either go without, or burden the heavy costs of Hyperbaric Oxygen Therapy treatments themselves. At MDC we are working closely with the British Hyperaric Association and NHS England to help improve the situation and hopefully work towards a future where HBOT is accessible and affordable to all who will benefit from it. If you would like to know more on the benefits of HBOT, the conditions it can treat, or how you can help to raise awareness, then please call 01788 579 555 (for Midlands and North based patients) or 020 7806 4021 (for London and the South of England). Just a general musing for this week is to highlight the importance of the British Heart Foundation's scheme to provide local public spaces with public access defibrillators (PADs). The British Heart Foundations Our Nation of Lifesavers Community package offers part funding for a public access defibrillator and Call Push Rescue training kit. The scheme has been so popular that by the time I am writing this, the Department of Health Defibrillator funding programme in England has now closed as an overwhelming demand in applications has meant that all of £1 million of funding has now been allocated. If you've never used, or even heard of, a defibrillator, then you really should have. You may have noticed them in your locality, at the gym, train station or your local village hall, sitting in a briefcase sized box on the wall, it is there for anyone to use on someone who is in cardiac arrest. They are simple and safe to use and require little to no training to operate, and, most importantly, they could save someone's life. When someone goes into cardiac arrest, every minute that passes without CPR and defibrillation reduces someone's chances of survival by 10 per cent. The first thing that a 999 operator will instruct you to do is to find out if there is a public access defibrillator nearby, and tell you to use it. Therefore it is imperative that our communities have access to these life saving devices and that charities like the British Heart Foundation continue to push to raise awareness and accessibility for PAD’s to be accessible in local communities up and down the country. For the untrained first responder on the scene, the prospect of using a technical piece of medical equipment for the first time, especially when someone’s life is hanging in the balance, can be a daunting experience. However, defibrillators are very easy to use, yes they can vary in appearance and functionality, but each ones comes with easy to follow, step-by-step spoken instructions that you simply have to follow. There are also many First Aid , First Aid at Work and AED courses that you can take to make sure that if the worst does happen, that you are prepared. More often than not, many employers will fund First Aid courses for nominated employees, so it is worth checking whether you are eligible to take one. As aforementioned, the Nation of Lifesavers Community scheme has now closed, however for a comprehensive guide on obtaining and using a PAD read this Guide to Defibrillators and visit the Resuscitation Council UK website. So go forth….and make every second count! As the resident diving doc at MDC I see many a diver walk through my door on daily basis, whether for a DCI emergency case, a fit to dive query for recreational divers, or more frequently, a HSE dive medical. The HSE medical is required by all commercial divers to be able to legally and safely work in their industry, which got me to thinking. I wonder if any of our recreational divers, instructors and DM's, have ever thought about turning their passion into a full time, highly paid, job? It's a big step, and one that requires total commitment, but a career in commercial diving can offer you substantial returns, plus an exciting and rewarding profession. Everyday at the chamber we see commercial divers who travel to all four corners of the globe for work, from the North Sea to the Indian Ocean even off the coasts of Africa. Of course long stints away from home may not appeal to everyone, but lucrative work can also be found closer to home on many inshore projects. Despite a slump in oil prices, the oil and gas industry is still the single largest employer in the subsea sector and there a positive developments being made right now to ensure that that a large volume of employment will be served by the offshore renewables sector over the next decade. This means that there will continue to be a demand for offshore personnel including divers, ROV pilots and Life Support Technicians (LSTs). How do I make the step? You might be wondering. Well on site at our sister chamber in London we have our very own training facility in the form of LDC-Training, and with that the tools to get you your first step on the commercial diving ladder. The Assistant Life Support Technician Course at LDC Training enables participants to enter the rewarding commercial diving industry, irrespective of his or her background and qualifications. This course is an International Marine Contractors Association (IMCA) approved certification that is recognised internationally by the commercial diving industry. An A.L.S.T. is part of a team responsible for maintaining life support for divers living within hyperbaric saturation environments during offshore diving operations worldwide on fixed platforms and Dive Support Vessels. With ever more expansion in the oil and gas sector and new developments emerging in offshore wind farms, there is still a continued demand for divers. There is no denying that this can be a tough job physically and emotionally, but for those who want a challenge, a career in commercial diving could be open up a whole new world of opportunity and success. At the start of their careers, most divers will build initial experience with inshore diving work before making the move to better paid jobs offshore and your first foot on the ladder will be to start your L.S.T training. What can you expect to learn on the A.L.S.T? The A.L.S.T course is a 10 day program run over a two week period, no prior experience is needed, although a basic knowledge of physics and mathematics would be an advantage. On completion of the course, and after having successfully passed the LDC-Training in-house examinations, you are issued with an IMCA approved certificate. For information on course dates or to book, visit LDC Training today. It’s a big step, and one that requires total commitment, but a career in commercial diving can offer you substantial returns, plus an exciting and rewarding profession. 8th December 2015 - MDC Doc now AMED Approved! Great news midlanders - our resident MDC Doc is now AMED approved & HSE Dive Medical bookings Monday - Friday are now available! 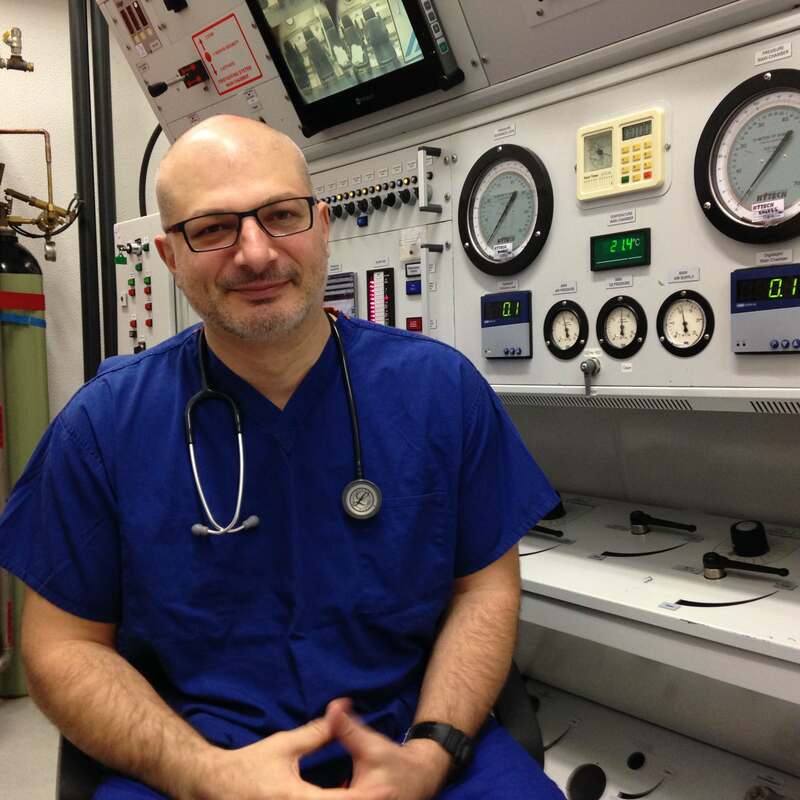 For all of you divers seeking a HSE dive medical in the midlands and surrounding areas, Dr Gonevski is now an Appointed Medical Examiner of Divers (AMED) under the Diving at Work Regulations 1997. HSE dive medicals for commercial and PADI divers from DM to Instructor cost £80 for the initial medical and £60 for a renewal. MDC is open five days a week, Monday – Friday, and we are able to take HSE dive medical bookings immediately. For more information or to book your medical call 01788 579555. 6th October 2015 - England crash out of the rugby world cup while Japan use HBOT to get players fighting fit! As the English nation struggle to come to terms with the national team crashing out of our own world cup at record breaking speed, Japan have been utilising the facilities close to their training camp in Warwick to get their players fighting fit for their next game. 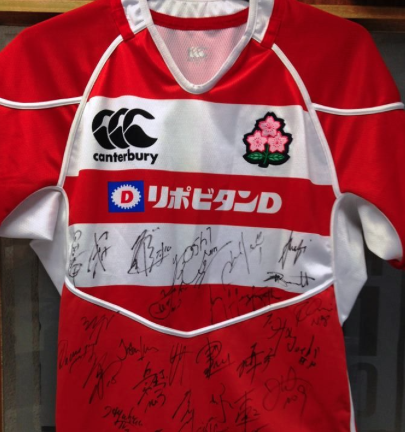 Long time advocates of using HBOT (Hyperbaric Oxygen Therapy) to accelerate recovery time in injured players, the Japanese team have ensured that any soft tissue damage their key players have sustained during the competition won’t be the reason for their defeat, by opting to take the players for treatment at the Midlands Diving Chamber in Rugby for daily HBOT treatments. Whilst we feel for the England team and their early exit from the competition, we can’t help but admire the determination and duty of care that the Japanese coaches clearly have for their players as they fight for their place amongst the other heavy weight rugby playing nations. Being the break out stars of the Rugby World Cup so far, we wish them the best of luck in their next match! 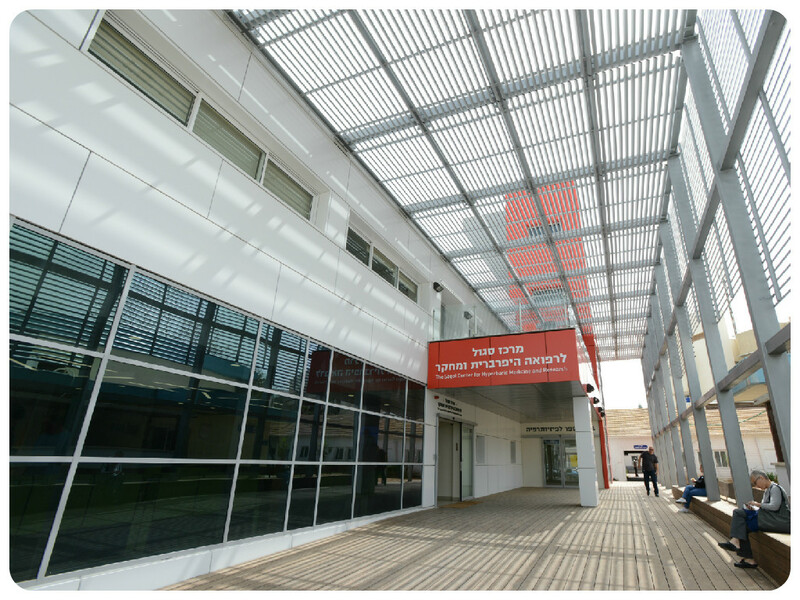 The Sagol Center for Hyperbaric Medicine and Research based in Assaf Harofeh is currently the largest hyperbaric facility in Israel and one of the biggest worldwide, treating more than 120 patients per day. As well us using HBOT for burns, radiation injuries and non-helaing ulcers, The Sagol Center has also started research into using hyperbaric oxygen therapy for different types of brain injuries, proposing a brighter future for many patients who could now benefit from the non-invasive, highly effective treatment. Read more about the center by clicking here. 19th April 2012 - The changing faces of the Hyperbaric Chamber..
Over the years Hyperbaric Chambers have changed their structure and design to everything from a multi-floor hospital (which also had a smoking room! ), to banks of mono- place chambers. The norm is still to have a generally cylindrical submarine shaped body which might occasionally have the luxury of a rectangular door, such as ours here the Midlands Diving Chamber. The Australians appear to have gone one better and now have state-of-the-art multi-place chamber with luxurious armchairs inside. The link below gives a short preview of this new facility. 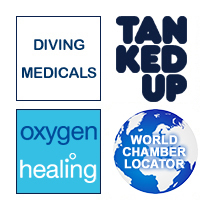 Hyperbaric chambers, both here and in Oz, treat not only divers with decompression illness, but also a variety of other medically related problems such as those described in the clip. I think it's interesting not only for those who are unfamiliar with hyperbaric chambers, but also for showing how technology is progressing in the hyperbaric world. 13th March 2012 - Well I'll be blogged! Here's the second of my intermittent blog history. 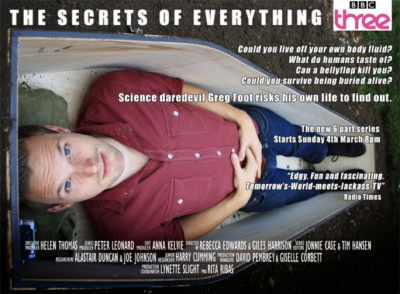 It might be worth your while taking a look at this somewhat left-field science program which is being shown currently on BBC Three, called The Secrets of Everything. One programme of the series of six looks at the effects of pressure and how it might affect us if we tried to bore a hole from one part of the surface of the Earth, through the centre, to the other end. Some of the programme was done in the diving chamber and, apparently, there are some funny scenes worth seeing. Not only does it give a practical view on the effects of pressure on humans and other objects, such as the thickness of neoprene, it also gives information on narcosis and how it affects humans at depth. All in all, very watchable and informative for divers, I think. Recently I was at an inland diving site. The water temperature was about 7° C, but the wind chill made it feel significantly colder. I was looking out over the water thinking about the origins of the universe when, just at the point I thought I had the perfect explanation to the question, a couple of divers came out of the water. As they slowly made their way towards a small wall to take off their kit, I thought their faces reminded me of pieces of fine china. One face was porcelain white; the other was that of classical Wedgewood – blue. De-kitting was slow and looked uncomfortable, and the conversation was punctuated with periods of uncontrolled teeth chattering. It was that scene which prompted me to write this blog, hopefully the first of many on a variety of diving illness issues. Being mammals we need to have or maintain a relatively stable body temperature, that being around 37°C plus or minus 1°C. When our deep body temperature falls below that we need to find ways to raise our body temperature back into that range. We can do this in a variety of ways, for instance, by shivering or putting on clothes. If we are unable to do that and our body temperature falls below 35°C, then we become hypothermic. Water is a good conductor of heat and has a high specific heat capacity. This makes heat conservation quite a difficult thing to achieve, and it becomes more difficult with longer and deeper dives, inadequate clothing protection, and in some cases using different diving gases. As the diver becomes more hypothermic, confusion and disorientation, with slowing of mental processes occurs, with impairment of decision-making skills and slowing of motor skills occurring quite early in the process. As the situation worsens the above problems become more complex with changes in electrical conduction of the heart and respiratory system. Below is a summary of the changes seen with increasing hypothermia. Normal breathing and fully conscious. Difficulty performing tasks or handling equipment. Heart rate slows and might change rhythm. Pulse and respiration very low or not detectable. So what do you need to do if you come across this problem? Always remember to first assess the dangers and risks involved. Make sure you don't become a casualty of the cold yourself. It's very easy in the heat of the moment (excuse the pun) to become wet and cold. Exhaustion is a common problem, especially if this is in a remote area with little help. As tempting as it is don't donate your own protective clothing, even to the casualty you are trying to help. Get help! Next is ABCDE. I'm sure that over the winter months you’ve all have the opportunity to review and practice your first aid skills and will seamlessly start with basics first aid management, by assessing the airway, breathing and circulation. Having said that, it is quite difficult in cases of hypothermia to assess breathing and pulse. You might need to try and detect the pulse for at least 1 min in moderate to severe cases of hypothermia before starting chest compression, and if at any time you do detect pulse then chest compression should be stopped. Basic resuscitation should be continued until further help arrives. It is worth noting that even if the diver appears to be unresponsive; it is always worth persisting with the resuscitation until the diver can be evacuated to hospital. Keep the diver horizontal at all times and preferably raised from the ground on some insulation. Remove any wet clothing carefully, and dry the skin gently. Keep the diver warm in blankets, a sleeping bag or space blanket, and do your best to protect them from the effects of wind chill. If the temperature is particularly cold it might be worth considering a scarf over the mouth and nose, which will help her warm the airways, but it is important to carefully monitor the patient's breathing and pulse rate regularly. Oxygen may be beneficial, but it's probably best not to be used if the cylinder is very cold. I hope the short summary above will act to remind you that the water temperature at this time of year can cause problems, particularly for those who are young, old or those with certain medical conditions. However, the main point I'd like to reinforce is that prevention is better than cure. Always assess the risks first. Wear the right level of protective clothing to suit the conditions. Consider shortening the length of the dive time or the depth to suit the water temperature. Remind yourself of the signs and symptoms associated with hypothermia. Keep your first aid skills up-to-date. Have a look at some of the sites on ice diving. Although the environment looks extreme, and it is, the water temperatures in such areas are often no colder than those in the UK in the winter. Looking at the precautions that experienced ice divers take will give you a good idea of how we should be thinking about how we approach diving in the colder parts of the year. I hope this doesn't seem like too much doom and gloom; it's not my intention to throw anyone into a great fit of depression, thinking that you might come a cropper every time you dive in cold water. Cold water diving, as I'm sure many of you know, can be very good. It just needs a little bit forethought. Swapping your favourite all in one Lycra suit for another made of rubber can make all the difference. I'm also sorry that I couldn’t mention other exciting topics such as frostbite, frost nip and trench foot. Maybe I'll write about than the time but for now, happy diving.